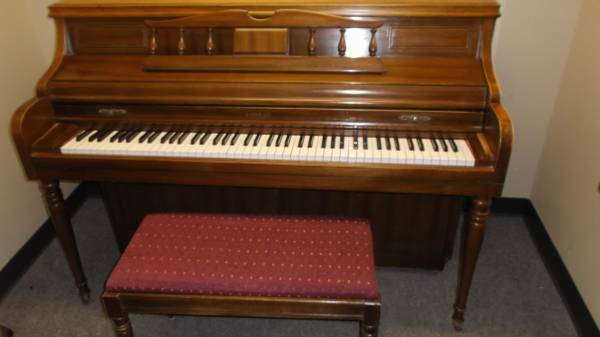 A fine starter piano, this sturdy instrument holds tune, and has had a little extra TLC to make it look really nice. 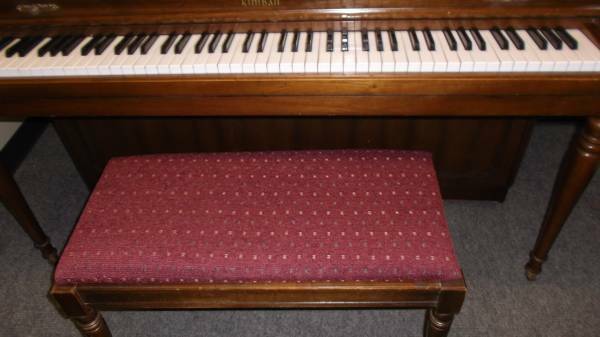 The bench was just reupholstered and includes music storage space. Priced to sell! Come and play it!